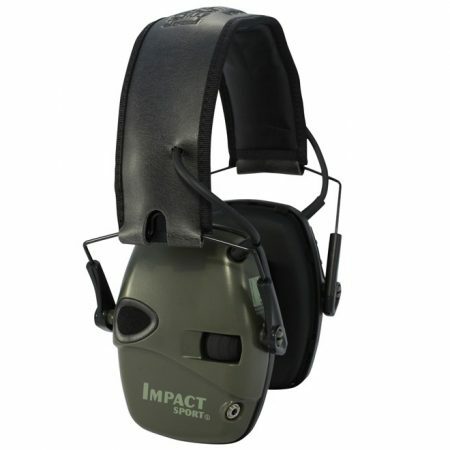 The Caldwell Low-Profile E-Max Electronic Earmuffs with Shooting Glasses combines great circuitry with a low profile ear cup that’s ideal for shotgun shooters and action shooters. Howard Leight Impact Sport Electronic Earmuffs provide protection from damaging noises over 82 dB, while amplifying regular ambient sounds such as conversation, range commands, etc. 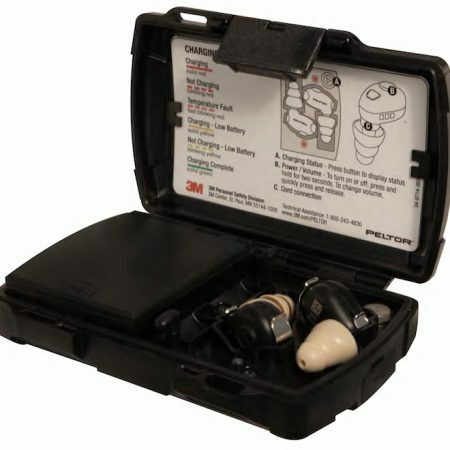 3M Peltor TEP-100 Tactical Digital Earplugs help protect hearing while offering improved auditory environmental awareness over conventional hearing protectors by actively adjusting to loud and soft environmental sounds. These rechargeable digital earplugs can help to improve awareness by amplifying lower volume sounds like voices, while limiting hazardous steady state and impulse noise. The TEP-100 tactical earplugs utilize environmental microphones to detect sounds. These sounds can either be amplified to make them easier for the user to hear in quiet environments, or the sounds can be attenuated (reduced) to help protect the user’s hearing. 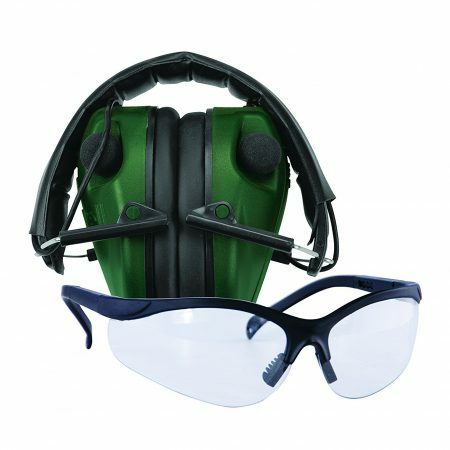 When using the TEP-100 tactical earplugs, sounds such as warning signals, or approaching vehicles may be easier to hear than when using conventional hearing protection. 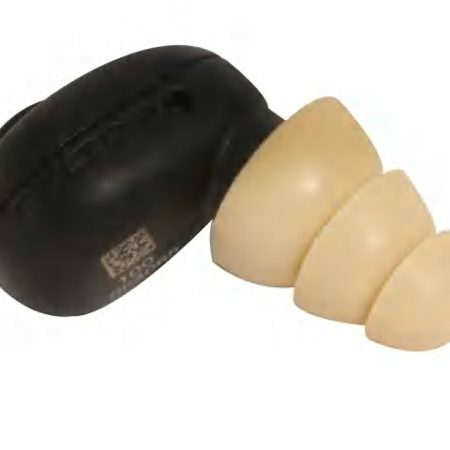 When exposed to impulse noise, such as gunfire, the TEP-100 earplugs immediately soften sudden loud noises such as the blast of a gun or rifle, making these earplugs an effective hearing protection solution for hunters and gun range shooters, as well as tactical users such as members of armed forces and police officers.